The FV-060 Lightweight Headphone is a lightweight and durable headphone, and its medium size makes it great for personal or lab use. 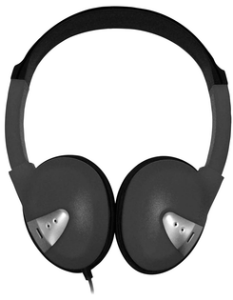 Ear cups surround the ear and help block out ambient noises as well as reduce noise population. The earpieces rotate flat for easy storage.